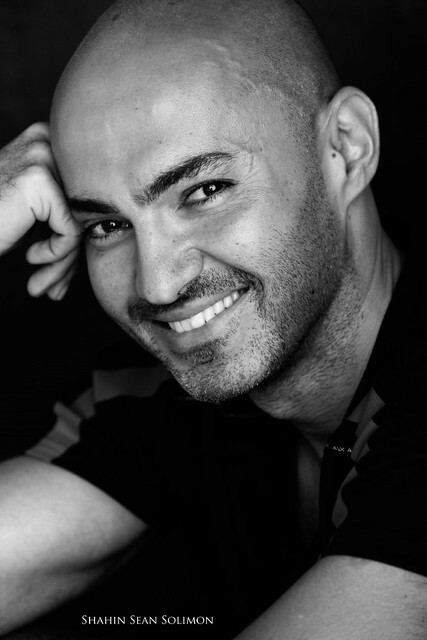 Shahin Sean Solimon is an actor, writer, producer, and director who has made two movies so far, Djinn and Sinbad: The Fifth Voyage, with a third major movie in the planning stages. 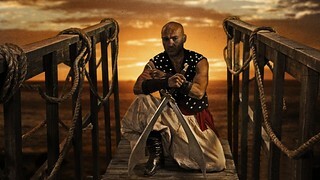 He was nice enough to take time out of his very busy schedule to discuss Sinbad: The Fifth Voyage, his movie influences, his latest project, and more. Bryan Kristopowitz: Why make a Sinbad movie? Shahin Sean Solimon: I have a strong liking for old school fantasy movies, and Sinbad is one of the original live action monster/fantasy movies. I’m a big fan. Plus, I am of Persian-American heritage, and Sinbad is a Persian story. It was a natural fit. Also, I had just made an experimental fantasy film titled Djinn, so I was primed for it. 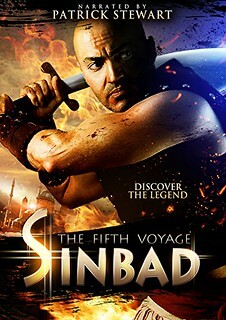 BK: Is Sinbad: The Fifth Voyage meant to be a standalone movie or is it meant to be the first in a series? SSS: It is definitely meant to be a series. However, I have several other projects in the works, and will re-visit the franchise in the foreseeable future. BK:How did you achieve the overall look of Fifth Voyage? It’s one of the most colorful movies I’ve seen in quite some time. SSS: Thanks, we purposely colored it as such, both during production, and during post. I think the “dark” look for fantasy movies is very negative, and getting played out. It takes guts to go bright colors. Plus all the classics had this amazing “technicolor” look that I love. BK: Why go with stop-motion animation as opposed to CGI for the monsters? BK: How long did it take to make the film? SSS: Well, the film was written, and re-written for about a year. Shooting was about 3 months total, and post was about 2 years, due to the 1400 VFX shots and animation for this film. So about 3.5 years total, which is actually good for this style of movie, on an indie budget. BK: Did you always plan to star as Sinbad in Sinbad: The Fifth Voyage as well as direct? SSS: Yes after it was insisted by others, however I insisted on a screen-test, and a public test with our first trailer before I would commit to act, because I wanted to make sure it was a good fit. It’s just my style of doing things. BK: What was the hardest part of the movie to make, the live action parts or the animation parts? SSS: Both had their challenges. In live-action you are dealing with 200 people, all needing something and all at the same time, and physically very demanding. Animation is a very slow process, frame by frame, carefully constructing a shot, and then the next. BK: How did you get Patrick Stewart to do the narration? SSS: We asked, he said yes. May I add that he was lovely to work with, and one of the best experiences of my life professionally. Looking forward to working with him again. BK: Did Sinbad: The Fifth Voyage receive any sort of theatrical release, and if it did how did that come about? I ask because it’s rare to see independent movies get any sort of theatrical release. SSS: Yes, it was picked up by AMC and Regal. It was on about 50 screens, in 14 states I believe. However, we did not have P&A funding, so it only ran for a week. BK: How do you plan on remaking Plan 9 From Outer Space? Are you worried about any sort of backlash from fans of the original movie? SSS: Akira Kurosawa, Steven Spielberg, George Lucas (American Graffiti, Star Wars first trilogy), Robert Rodriguez (for his no nonsense style of making films), Stanley Kubrick, Hitchcock, Francis Ford Coppola, Scorsese, James Cameron, Oliver Stone and Ridley Scott. BK: What’s your personal favorite movie? What movie inspires you the most as an artist? SSS: That’s a tough one. I have many favorites, in many genres. If I had to pick just one movie, my all-time favorite would have to be The Godfather part II. It has everything a fan can ask for. The movie that inspires me the most would have to be none other than Tim Burton’s Ed Wood. Besides the fact that it’s a great movie, it’s a great introspection into the lives of the “not” so well-to-do industry people in that era, and perhaps any era. They were struggling and managed to still make movies. I can relate to that, so can many others. That’s inspiring, and part of the reason why I am making this version. I honestly hope that it will be a nice addition to the people that are fans along with myself, and it will be dedicated to Ed himself. A very special thanks to Shahin Sean Solimon for participating in this interview and to david j. moore for helping set it up. Check out Shahin Sean Solimon’s website here and his Facebook page here.